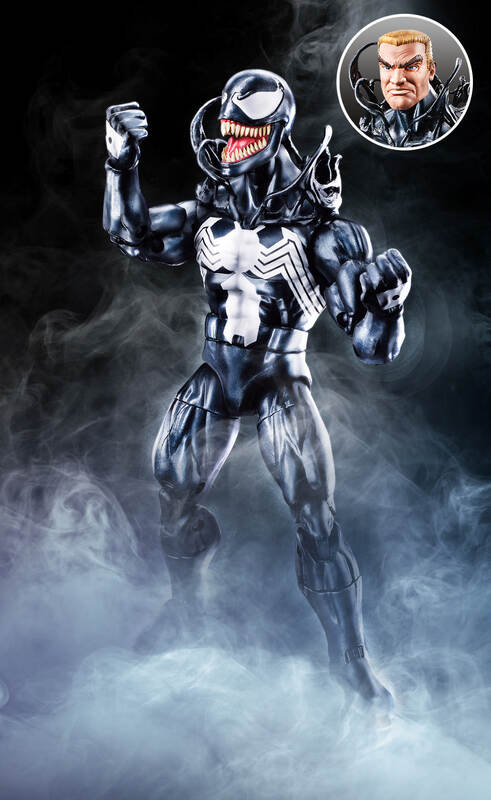 Hasbro have sent out official images for the upcoming Venom wave of figures due out in fall 2018. Included are Venom, Carnage, Poison, Scream, Spider-Ham, Typhoid Mary, and the Build A Figure (BAF) Monster Venom. You can check the pretty hero shots after the break! So, the BAF is the Legends equivalent of Amazing Yamaguchi Venom. Hopefully this one isn't so top heavy. Just got into Legends (been focused on other things)... I'll be picking these up for sure! Very cool-looking wave! 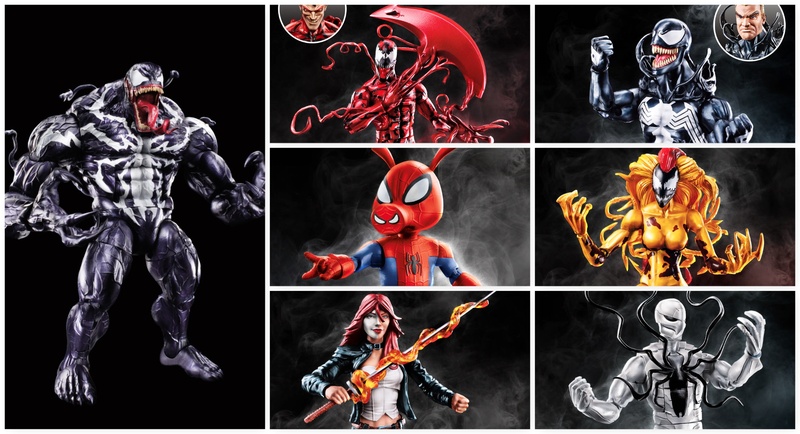 There's a few I'd like to grab, but I already own the previous Venom and Carnage releases, and these look exactly the same but with a few extra accessories...might pass on those, but Scream and Typhoid Mary are must-buys. 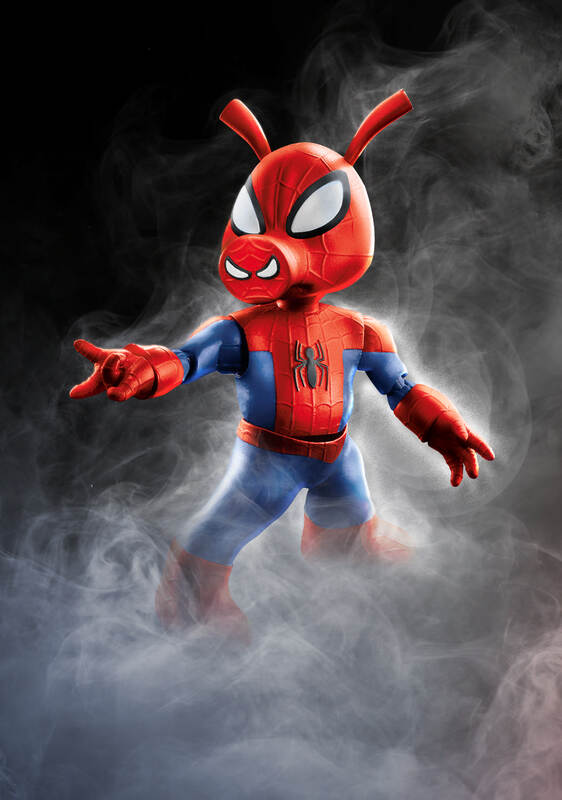 I need that Spider-Ham so freakin bad!! 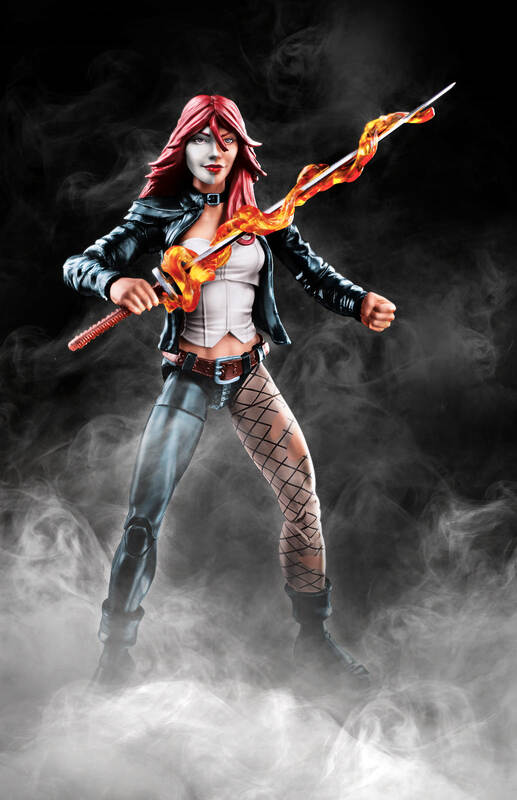 I'm not a fan of that Typhoid Mary costume. Carnage, Scream, and Poison Spider-Man for me. Maybe the new Venom so I can have one to open and mess around with. This series owns. Not an ounce of fat, and for people like myself, this is a great second chance to get Venom and Carnage. How long must we wait for Hasbro to make Silver Samurai with that sword? Whew! Thanks Hasbro, not a single want from this wave. My wallet thanks you. I'm glad I never picked up the Spider-Gwen wave Venon... I love that unmasked headsculpt with the floating symbiote neck accessory thing. Suddenly my excitement for Typhoid dropped. Why THAT design? Well, she is the only one I will be buying from that wave. Though, I might get Carnage. Hope they fix the loose tbar problem carnage had in his first release. Mine was fine but I do remember that complaint being common enough so hopefully Hasbro listened. This wave definitely meets its quota on Symbiotes & Sociopaths!! Can't wait!! Yeah, my Carnage was fine as well. No loose hips! Peter Porker is a must have for me. 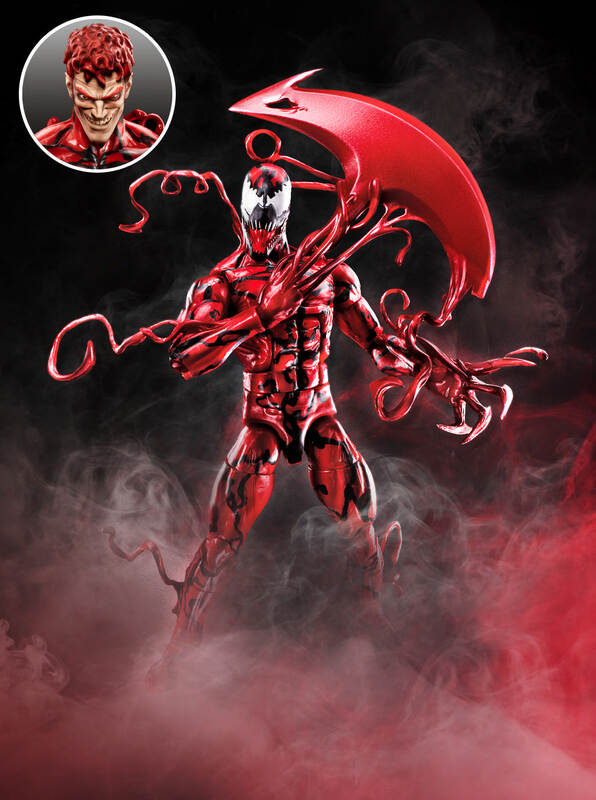 Already have a couple different Carnage figures but that likeness if crazy! Gonna have to add this to the collection as well. Not too crazy about the Venom. Head looks way too big. Like three times bigger than it needs to be , but could just be me. Overall looks like a decent line to ML finally. 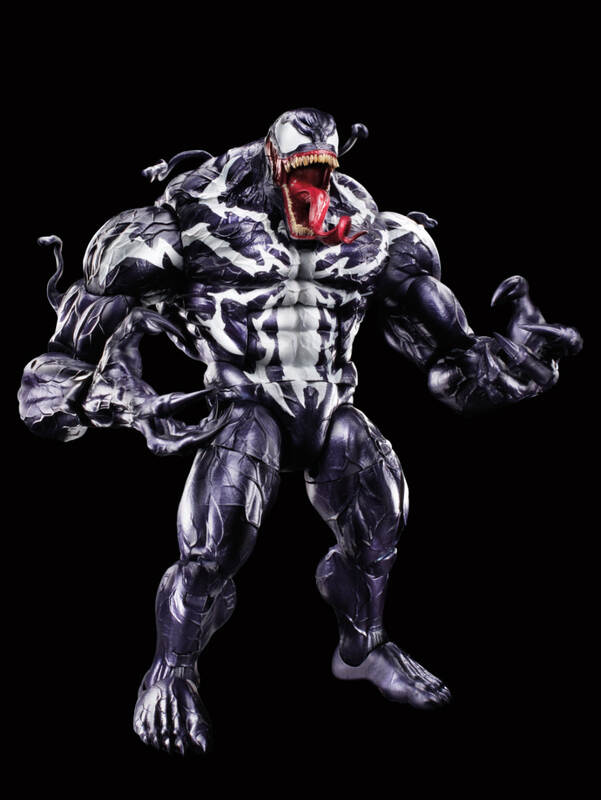 The BaF Monster Venom looks awesome too. Wish they'd just offer the BaF's separately. I'm not a completest , just buy what I like. I get why they do it , it's smart marketing , but people like me lose out. Not gonna be picking up much from this one (just not into symbiotes like I used to be), but Mary looks fantastic, and Poison Spidey hits me right in the 'two-color simple design' aesthetic I love, so those two are locks. The Monster Venom is just that, right? A monstrous version of Brock!Venom? Or is it one of the other hosts? Got a guy insisting that it's Mac Gargan, but there's just as many differences as similarities in design. I'm pretty sure it's just meant to be a big Venom that you can decide who it is on your own but I think Gargan is the intention. It mixes a bit but it is mostly the Mac Gargan version. The design of the spider is Gargan's (Brock's spider has always kept its more defined shape), and then the veined hulked out build is very much in the spirit of Deodato's art of Gargan Venom when he goes berserk even down to way his claws look like nails, the head is really the only thing that isn't in line with Gargan since he had those red eyes in the white. It's all semantics at this point, but to me the face is what defines him as Eddie, although it would've been so much better to have them just make a Gargan so we could get all Venoms in this wave. Also, I'm seeing the Flash Anti-Venom listed as Poison. Is his slot pulling double-duty as the variant figure and we're getting a Poison as well? Or is Poison his new codename? It really does just boil down to a big Venom toy. Buyer's choice as it were. 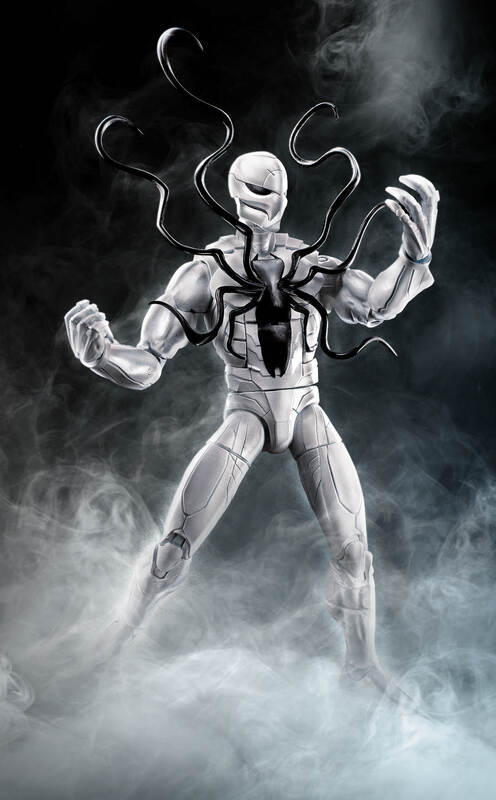 That is not Agent Anti-Venom, Agent Anti-Venom just looks like Agent Venom color flipped. 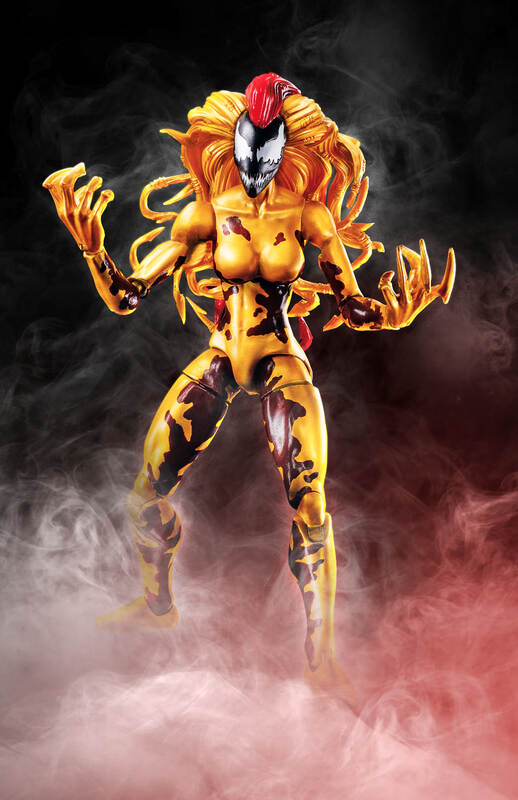 This figure is of a Poison (specifically the Spider-Man one), they are evil parasites towards the symbiotes from an alternate reality.